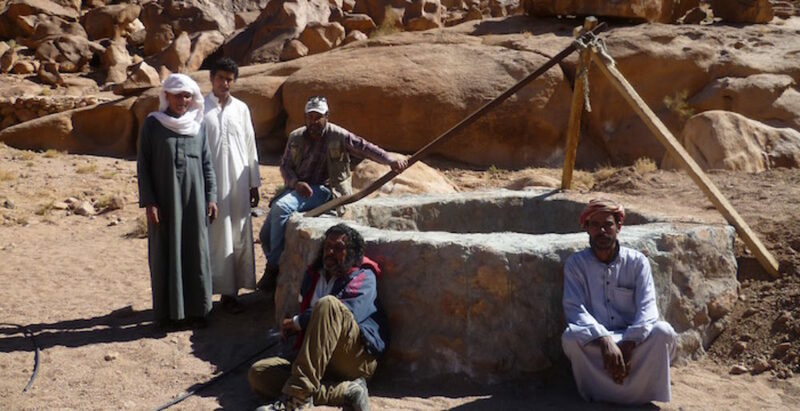 Makhad Journeys Ltd works solely on behalf of the Makhad Trust to organise the journeys for people to contribute to the Trust’s projects in the Sinai. It takes great care to ensure the protection and safety of all its visitors. A comprehensive Safety Policy exists and is regularly updated. Pre-journey visitors are advised about the immunisation required and obtaining health insurance cover. Local vehicles are required to be in good repair and carry the necessary legal permits and insurance. When in the desert a stand-by vehicle is always on duty in case medical evacuation becomes necessary. All groups are accompanied by an experienced Leader with a certificate in First Aid and trained local guides with an intimate knowledge of the area. Visitors are given detailed health and safety instructions for journeys and project work. During camping hygiene is of the highest standard possible and the food provided is fresh and nutritious. Bottled water is used for drinking where safe local drinking water is unavailable.